Chasey Peralta 'Man Down' EP / "Drive(n)", "Clarity" and "Traffic(King)"
So Chasey Peralta just dropped the ‘Man Down’ EP and I gotta say, he came correct. Clearly Boston get’s love – Boston Celtics, Red Sox, Bruins and the Patriots, but it has never really been given the respect it deserves when we are talking rap and hip hop. An artist like Chasey might be among the few to help switch things up a bit. 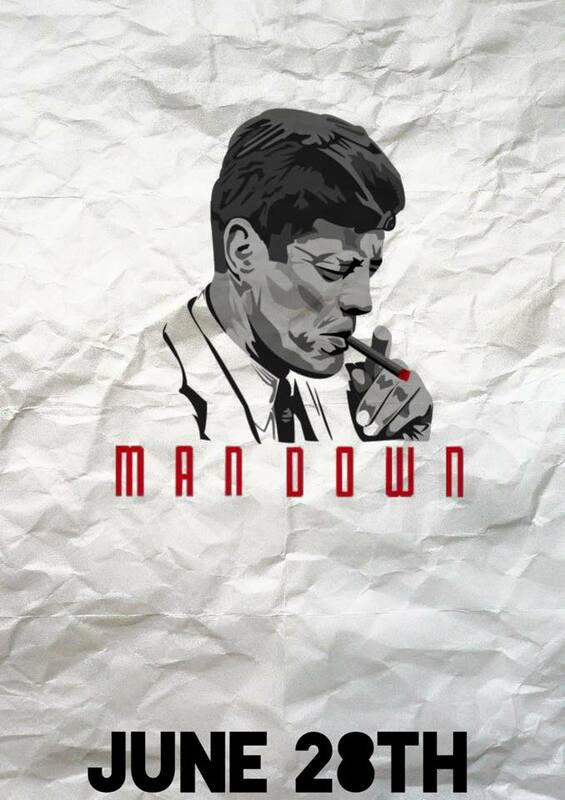 With a cover picture of what looks like John F. Kennedy smoking, the ‘Man Down’ EP has one particular record called “Drive(n)” that uses an original recording of the 1963 announcement of JFK’s killing, which I’m sure will definitely turn some heads. And as an independent artist, we all know how hard it is to get mainstream attention, but with a style of his own that can also be compared to a combination of J Cole with a splash of Kendrick Lamar, he just might be among the few to make it. There only 7 records on here and I’d highly suggest giving them all a go. But along with “Drive(n)”, I’m especially feeling “Clarity” which samples the legendary Michael Jackson record “Human Nature”. Reminding me of why I’ll always believe in Boston artist, especially since we already have rappers like Edo G, Termanology, NBS, Dutch Rebelle, Reks, and Slaine, this will surely be one to remember from the summer of 2015.